America’s largest interactive comedy murder mystery dinner show is now playing in Buffalo, New York! Solve a hilarious crime while you feast on a fantastic dinner. Just beware! The culprit is hiding in plain sight somewhere in the room, and you may find yourself as a Prime Suspect before you know it! Join us for an event that is very different from a traditional murder mystery dinner show. Our actors are not dressed in costume and are hidden in the audience! This results in a fun, social and interactive evening suitable for all adults. 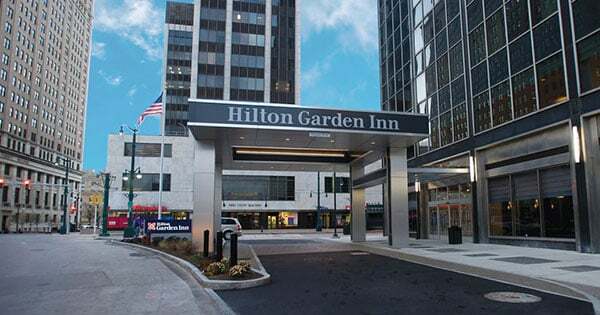 We perform at the Hilton Garden Inn in Downtown Buffalo, a hotel with historic architecture that overlooks the historic Lafayette Square in the heart of downtown Buffalo. The Metro Rail is just a few steps from the hotel’s front door, with free trains running in the downtown Main St. section, taking you to Shea’s Theater, Buffalo Convention Center and family-friendly Canalside. 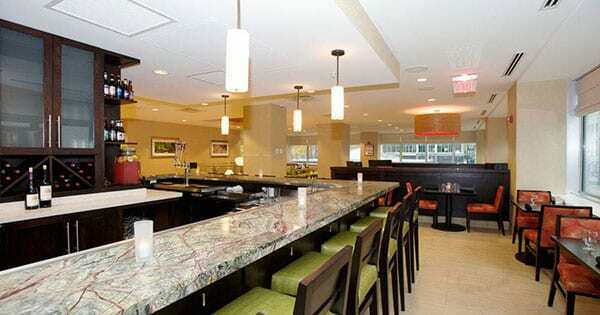 We also perform at the Hyatt Place Niagara Falls. The awe-inspiring cascades of the Niagara River’s three waterfalls are a justly world-famous sight. And when you stay at Hyatt Place Niagara Falls, they’re right in your backyard. Follow the sound of roaring water and you’ll reach the observation tower. Hosting a party or private event in Buffalo, New York? We specialize in custom private events for companies, groups, and organizations of almost every size! We can host your event at our onsite venue, or we can bring a show to your home, business, or venue anywhere in Buffalo, New York.